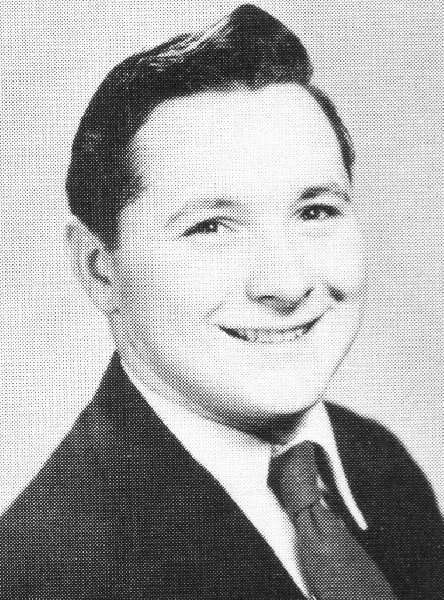 Larry Murray as a teenager. 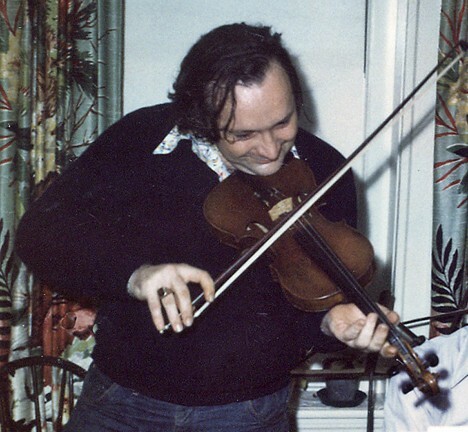 In later years playing the violin. Lunch at Sardis with the legendary Ethel Merman. 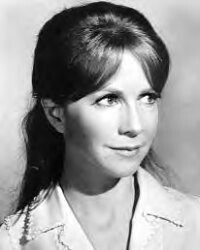 Julie Harris mostly remained in character during a meeting in her dressing room. Harris was warm and gracious to a young fan. Charles Giuliano You are the publisher/ editor of the website Berkshire On Stage. Before moving to the Berkshires you had a long career in the arts. Primarily in the field of marketing and public relations. You had associations with some of the legends of the Boston arts community including Sarah Caldwell and her opera company as well as E. Virginia Williams the founder of the Boston Ballet. You worked for Peter Gelb now the director of the Metropolitan Opera. Also for the BSO at Tanglewood. Later you were one of the founders of Arts Boston which was nurtured by the Theatre Development Fund of New York (which runs the famous TKTS booths in NYC). It provides marketing assistance to theatre, music and dance companies through reduced tickets for Boston theatre on line and at the Bostix booths in Copley Square and Faneuil Hall Marketplace. For the past few years you have been on the other side of the stage. You began with Arts America, then Gay in the Berkshires, both now inactive, replaced by your most recent undertaking, Berkshire on Stage. For a time, before this past year, we shared theatre coverage for Berkshire Fine Arts. You have become an established theatre critic in the Berkshires with a lively combination of reviews, previews and interviews. The respect you have earned is reflected in how often quotes from your reviews are picked up in ads by the theatre companies. How has your long past involvement in theatre and the arts marketing and PR played a role in your writing as a critic? Larry Murray Becoming a critic has been a lifelong process. And telling that story entails the story of my life. The beginnings are almost a cliché. When I was very young my dad wanted nothing more than to toss a ball back and forth with me. I complained that it hurt my hands and preferred to con the neighborhood kids into watching my puppet shows in the back yard of my family's house in Freeport, NY. Of course they were just awful. Everyone has to start somewhere. From my earliest days, I was an unconventional problem for my dad. He had no insights into anything other than the standard, safe, view of life as being conformist and "normal." Thank goodness for some gifted teachers who tapped into my creative streak. By high school, I was active in the Masque and Wig Club, and also president of the Science Club. To this day, I think that the best science comes from the creative impulses of the brain. The arts and sciences are closely linked to the same human impulse to know more, solve problems, and challenge old ideas in new ways. When you ask where the foundation for my love of the arts came from, it has to be great teachers. The Freeport school system in those days was renowned. Families moved to the village for them. There was a high school band, chorus, orchestra, plus a top notch sports program. I sang and played the violin in the orchestra (all the way up to third position!). I got taken on quite a few field trips to see the Metropolitan Opera, when it was on 39th Street, as well as Broadway shows and musicals. They were a revelation. Anyone who has seen school productions and assume that’s what the arts are about has to see fully professional productions with all their bells and whistles to see where it all leads. But even in school, sawing away at my violin, trying to remember lines for The Man Who Came to Dinner, or The Matchmaker, and finding that unaccompanied high B note in the chorus, taught me just how difficult it is to do these things professionally. All this time my parents - who lived through the Great Depression - were making me take courses in electrical wiring, draftsmanship, typing and other marketable skills. They hoped that I would be able to find a job when I graduated from high school. I also did most of the college entrance courses in English, History etc. although there was no support for me to go anywhere other than Farmingdale Agriculture and Technical State College. I really wanted to go to Emerson or Boston University. I did not have a classical education, but you did. I took six weeks of Latin, but didn't you have years of it? You once mentioned that my aversion to reviewing Shakespeare is because I did not have a classical education. What did I miss? CG Yes, it’s true that I endured six years of Latin at Boston Latin School. As well as, four years of French, and three years of German. Studying all those languages was difficult and I wasn’t very good at it. But that intense background in languages truly informed and shaped me later as a journalist and writer. It allowed for a freedom and invention. Another factor was meeting daily deadlines when I was a staff critic for the Boston Herald Traveler. If I covered a rock show at Boston Garden there was a midnight deadline. Which meant you were writing the review in your head. Once you got back to the paper there was about an hour to write 500 words. You never stuck around for encores. I would be rushing down the aisle, date in hand, trying to beat the traffic out of the parking lot. That’s still true. At Tanglewood Astrid and I race to the car. The trick is to get through Lenox. Then are home in Adams in about a half hour. As you know I try to get reviews up by noon the next day. That is something I have instilled in you. Our colleague Peter Bergman always beats us. He posts at night because he has to be at work in the morning. I just think it is lazy and unprofessional that Berkshire Eagle reviews often appear several days after openings. By then we have the word out and publicists pounce on our reviews for pull out quotes in e mail blasts and ads. Through blogs we have made or broken a show by the time you read the Eagle reviews. Other than the violin and science club what were your interests in school? LM I was a B and C student mostly, reflecting the lack of interest in many of the courses I was forced to take. I was a bit of a stubborn child, and got into trouble a lot. Mostly for a lack of diplomacy. You know me Charles, and see that part of me turn on and off. It’s what led me to learn the skills for public relations, but I became more like a Jeremy than a Charlie at first. In time I did get the hang of it, the smooth comes out more than the surly. All of this was a setup for a lifelong interest in the arts. Most of my first jobs - once out of the Navy - were minor in scope. One was being a messenger in the publicity department at Warner Brothers in the glorious art deco polychromed Film Center Building on 9th Avenue. Another job was shipping stuff in the booking department of Universal International films. The location of this building was between 44th and 45th Streets, so I was two blocks from Shubert Alley and the heart of the theatre district. 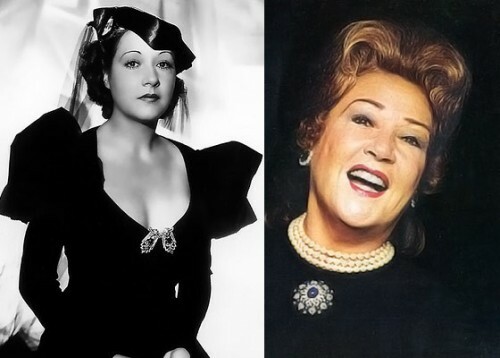 I would take late lunches or delay returning after an errand and do the "Second Act" routine - I think I saw the second act of Ethel Merman's "Happy Hunting" two dozen times. There was always a seat in the first row by the double bass player. I also collected autographs and after seeing me so many times, the great Merman took me aside and asked me if I would keep an eye out for her car and chauffeur when making my way to the stage door. I did. We became friends. At a lunch at Sardis with other cast members the talk turned to Mary Martin having just done Merman's trademark show, "Annie Get Your Gun" on television. The sycophants all raved that la Merm was so much better than skinnny old Mary Martin, until I piped up and said: "I liked Mary Martin." Merman smiled, nodded her head and said: "And I like Mary Martin too." We got along as you can tell. She liked my naive honesty, and I loved her edginess. My other favorite trick was to see plays that were closing, and on the last day to go to the matinee, a small bouquet of flowers in hand for the leading actor in the show. I dropped them off for Julie Harris one day, she was doing "The Lark", and in my note I said that even on a closing day, a great star deserves flowers. After the show was over, I waited outside the stage door to get her autograph, but the stage manager called out my name, and I found myself in her dressing room since she did not leave the theatre between matinee and evening. 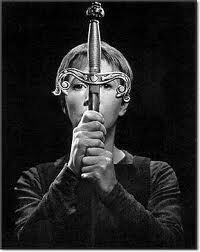 "I am afraid I am still half Joan of Arc," she said right away, "so you are only talking to half of me. I don't want to lose my character before the evening performance." That's how she became such a great actress, she never stopped tending her roots. Meanwhile I was this lowly functionary in the film business, and copping face time with some great names. Actor Peter Ustinov gave me an afternoon when I was out in California, as well as several funny lines I use to this day. But Warner Brothers and Universal paid really poorly, so I was soon enticed into general office work in a plastics company in Long Island City. Eventually I made my way to Boston and found work, first in retail, then as an advertising copywriter in an agency. "Great to hear some of Larry Murray's background. Please keep up the dialog between you. "Point Counter Point" I miss that show !" "Great Article!! Now we know a little more about the Larry behind the Larry." "Interesting stuff Larry. I always like to see the path that people take to get them to where they are now. Some very interesting thoughts. "